Writing is fun, it’s therapeutic, it’s brilliantly creative. It’s also SMEGGING DIFFICULT to stay motivated sometimes! 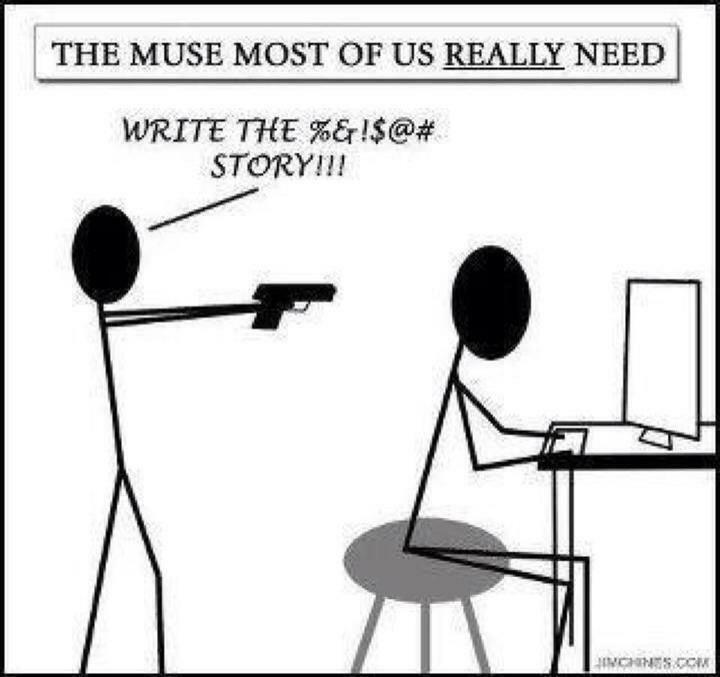 Some people talk about having a muse. Someone to encourage you to write, normally by inspiring you – although sometimes I wonder if a gun to the head would work more effectively. You can give yourself new ideas (I wrote an article of ideas to get ideas here), often you can be inspied by things you like. If you’re a scifi fan, writing in a scifi game, watch some scifi. Pretty obvious eh? But it’s really easy to forget that sometimes taking a break can really help. We’ve posted a few articles with inspiration, but obviously what inspires you will be personal to you. Sometimes too, inspiration for a story or character can come from a place you didn’t expect. Go visit a gallery, and it might inspire you to think of a Historical setting, or visit a nearby castle to inspire you about a great battle. Also don’t forget that if you’re the owner of a game, you might not know that your members are having a difficult time to get inspired. You should be encouraging them, and a few compliments really help too.